Run Raw 2013 – Running around Australia – 366 days – Every Day a Marathon on a Raw Vegan Diet – Ein Kardiologe ist entweder ein Vollwertveganer oder er kennt die Datenlage nicht. 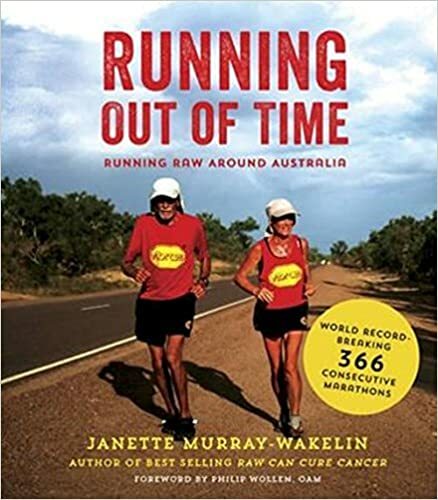 To inspire and motivate conscious lifestyle choices, to promote kindness and compassion for all living beings and to raise environmental awareness for a sustainable future, veteran raw vegan runner Janette Murray-Wakelin and Alan Murray ran around Australia, 15,782km, 366 marathons each in 366 days. On January 1, 2014, as they ran their 366th marathon, they set a new World Re cord for the most consecutive marathons, as the oldest and only couple to run around Australia, fuelled entirely on fruit and vegetables and wearing barefoot shoes. Having previously cured herself of cancer, Janette Murray-Wakelin is living proof that anything can be achieved when living a conscious lifestyle.